Sales. We can get you what you need! The best gear, the best prices. 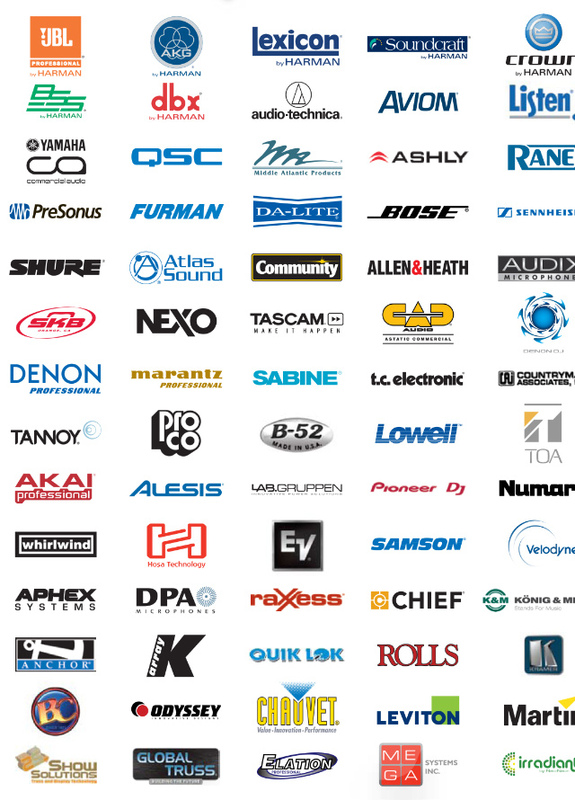 Forte Audio is an authorized dealer for all types of audio, visual and lighting equipment! Below is a partial list of the brands we carry. Give us a call for the best price on anything you might need for your audio/visual/lighting needs. We are proud to offer these respected brands and more! Looking for AV equipment? We can get it for you fast, at a great price! Contact us today for our best deal on the best gear!